Beach scene, George Morland, late eighteenth century, Victoria and Albert Museum. 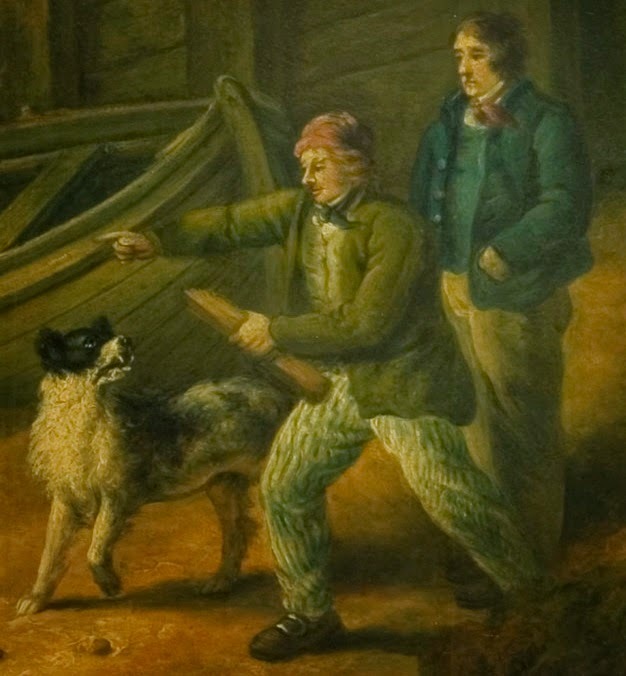 Given the rank of English sailors in the social hierarchy of the eighteenth century, it is no surprise that they rarely appear as subjects in fine art. 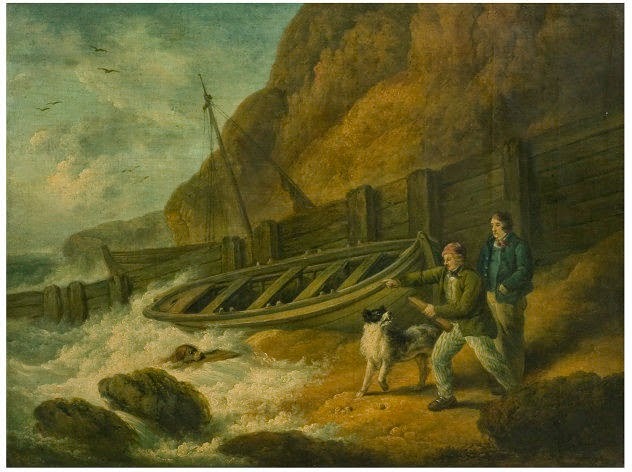 George Morland was a lover of the sea, and this scene of two sailors and their dog is his exception to the general trend of fine art at the time. In the foreground stands a Jack with a red knit cap, black neckcloth, and single breasted waistcoat. His jacket is brown and without pockets, collar, or cuff. White trousers with narrow and vertical blue stripes go all the way to his ankle, but let us see his rounded toe shoes with silver rectangular buckles. Beside him is a sailor in a single breasted blue jacket with cloth covered buttons. He wears a waistcoat of a slightly duller blue, and a red neckcloth under the collar of his white shirt. His trousers are brown.